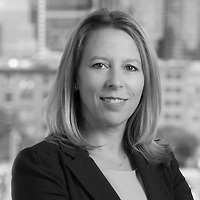 Crescent Moran Chasteen, Of Counsel in Nutter’s Tax Department, will serve as a panelist at the Boston Bar Association’s (BBA) program “What Employers Need to Know About the New 409A and 457 Regulations” on November 10. The panel will explore the practical take-away points from the 409A and 457 regulations that were issued in June of this year. Crescent and the other panelists will also discuss key elements of the new rules that will impact design and administration of deferred compensation arrangements, both in the for-profit and not-for-profit context.